My OS was not updated sir I think that's one of the reason. Thanks for the Help. Sir I update my Laragon but still the same sir. Hi, Anyone can help me with this problem? 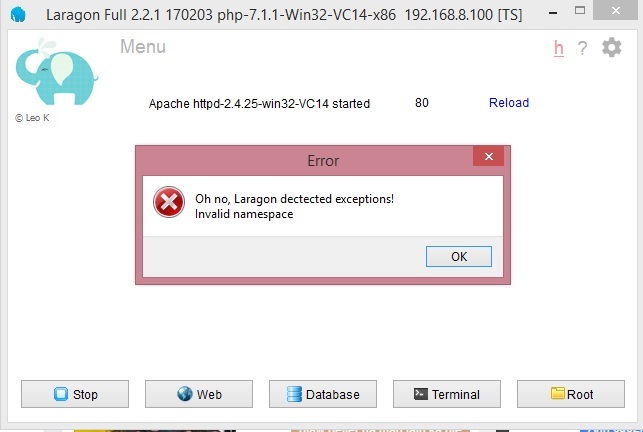 "Laragon Detected Exceptions" This Message keeps popping up every time I click start. is it the root file problem ? 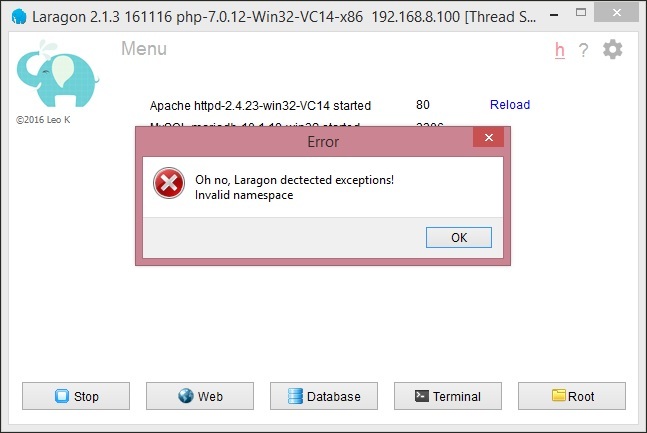 (D:\laragon\www) I accidentally created another folder below the "www" folder but I remove it . 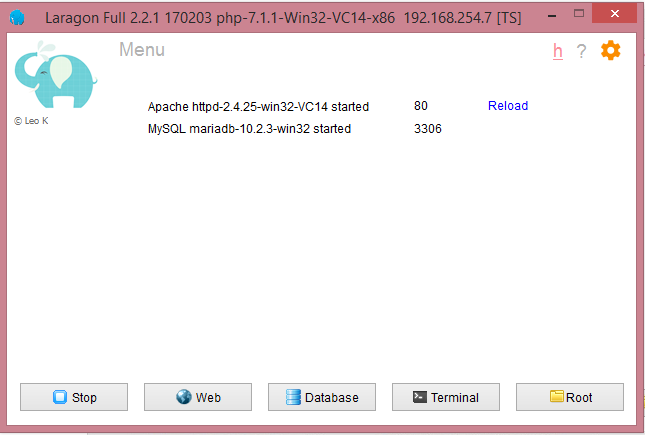 I Tried reinstalling it but still work the same. I asked some developers about this problem and the said that they haven't encountered this problem.